Learn the Importance of proper fitting clothes and that women to not settle for a man's solution of "just get a smaller size"
Talk Description/abstract: Dr. Godek will discuss hydration in endurance sports, and how improper hydration factors into Exercise-Associated Muscle Cramping (EAMC), Exercise-Associated Hyponatremia (EAH), and Exertional Heat Stroke. 1) Does dehydration cause Exertional Heat Stroke? 2)What is the Dehydration Myth? 3) Does Dehydration cause EAMC? 4) What is “Normal Fluid Balance” 5) What are the differences between Acute Dilutional Hyponatremia (EAH/EAHE) and Chronic Depletional Hyponatremia? Dr. Sandra Fowkes Godek is a Full Professor in the Department of Sports Medicine at West Chester University. She received a BS degree in athletic training from Penn State University, an MS degree from the University of Colorado and a PhD from Temple University, both in exercise physiology. 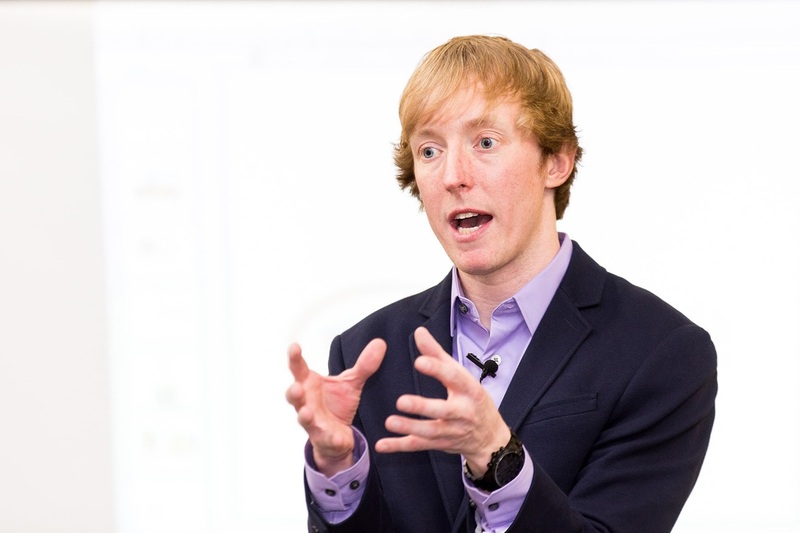 At West Chester University, Dr. Fowkes Godek teaches both undergraduate and graduate courses in athletic training, sports medicine, and environmental physiology, serves as the Director of Physician Services in Sports Medicine, and is the director of the HEAT Institute. The purpose of the HEAT Institute is to design and undertake research studies that result in useful findings that provide athletes, coaches, certified athletic trainers, sport dietitians, as well as other sports medicine professionals, with independent and unbiased information about thermoregulation, and fluid & electrolyte balance. The ultimate goal is to ensure the health and safety of all athletes and improve exercise and sport performance. This is accomplished by preventing disorders such as exertional heat stroke, exercise-associated muscle cramps (EAMC), rhabdomyolysis, exercise-associated hyponatremia (EAH), and other disorders related to fluid and electrolyte imbalances. She is on the editorial board for the Journal of Athletic Training, is a grant reviewer for the NATA Research and Education Foundation and is a reviewer for many journals including Medicine and Science in Sports and Exercise, International Journal of Sport Nutrition and Exercise Metabolism, and the Journal of Sports Sciences. She has numerous first author publications and in 2004 received the Kenneth Knight Journal of Athletic Training award for Outstanding Original Research Manuscript. In 2013, Dr. Godek was the recipient of the Ted Quedenfeld Award that recognizes honorees for their outstanding contributions to the field of Sports Medicine in the Philadelphia area. Most recently, Dr. Godek organized and presented at the 3rd International Consensus Conference on Exercise-Associated Hyponatremia in Carlsbad, CA. She also participated in the subsequent consensus meeting and in co-authoring the 3rd International Consensus Statement on EAH, which was co-published in the Clinical Journal of Sports Medicine and the British Journal of Sports Medicine in July 2015. Meet and hear Frankie talk on Saturday, February 20 at 12 noon. Plus Frankie will be around all day for additional meet and greet times. If you are looking for a new challenge then adventure racing is for you! Combine orienteering, mountain biking, paddling, trail running, team work, fun challenges and you have yourself an adventure race. Join GOALS Adventure Racing Association as they present you with the latest and greatest news from the adventure racing community. Learn about local and regional events; how to get started in the sport; how to train and find team mates; how to pick the best gear and much more. This is a seminar you won’t want to miss. How a triathlete approaches and performs in the swim can positively or negatively impact their entire experience on land and in the water. Today there is an overload of information and tools that claim will change everything for us in the water. With so much to read, buy, follow and analyze it’s no wonder we get lost in the process and rarely experience the breakthrough we seek. Come learn how to condense the information overload to just three things that will positively impact your journey from the water’s edge to the finish line. Bruckner Chase has a unique approach to the aquatic environment that draws on experiences in oceans and communities around the world as well as an intimate understanding of how both our body and mind work and perform in challenging endurance sports. Bruckner’s endurance career includes the most challenging endurance events across multiple disciplines from his first Ironman distance triathlon in 1985 to the Vermont 100 Mile Endurance Run in 1998 to the grueling 2014 Coolangatta Gold Surf Lifesaving Iron Man Championship in Australia. Out of the water Bruckner coaches athletes of all ages and all levels, and his Unified Team program coaches physically challenged athletes in open water swimming and paddling. He holds a degree in Exercise Science and is a certified coach with the American Swim Coaches Association and the World Open Water Swimming Association. He is the training officer for the Upper Township Beach Patrol and currently works for Red Bull as the Technical Director of Competition, Safety and Athletes for the Red Bull Surf and Rescue professional surf lifesaving event that he helped create in 2014. Whether it’s in Runner’s World, social media, or the local 5k winner, you hear something new about run training everyday and that it will help with both keeping you injury free and improving your performance. Some hot topics right now are running technique, strength training, eating more fat vs. carbohydrate, athlete testing, and the list goes on. Are these claims actually true? Some of them can help, but are they ideal for you? Come join Coach Jason Kilderry as he discusses ideal training, nutritional, and recovery approaches for runners ranging from newbie to professional to aid in performance and in some cases injury prevention based on the latest scientific literature. Jason has an extensive background in exercise physiology and will help steer you clear of the claims that would be detrimental to your training in a fun, applicable, and easy to understand manner. Jason is a USA Level 1 triathlon and track and field certified coach as well as a National Strength and Conditioning Association strength and conditioning specialist. He holds a bachelor's degree in Health and Exercise Science from Rowan University and is currently pursuing two master's degrees in movement science and kinesiology. Jason is the owner of ETA Coach and is a member of the PhysFarm Coaching Consortium. He comes highly recommended by his athletes, many of whom have qualified for various championships or earned entry into races requiring qualification, including the Olympic Trials, Boston Marathon, the USA Triathlon National Championships, Half Ironman World Championships, various Ironman distance events, and the New Jersey High School Meet of Champions. 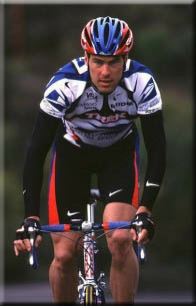 Bill has been active in endurance sports, both as a coach and competitor, for more than 20 years. He has experience coaching athletes of all ability levels, from beginners to elite-level competitors. Mid-Atlantic Multisport athletes have qualified for and competed in prestigious races throughout the United States and around the world, including the Boston Marathon, Ironman World Championship, USA Triathlon National Championship and ITU World Championship. 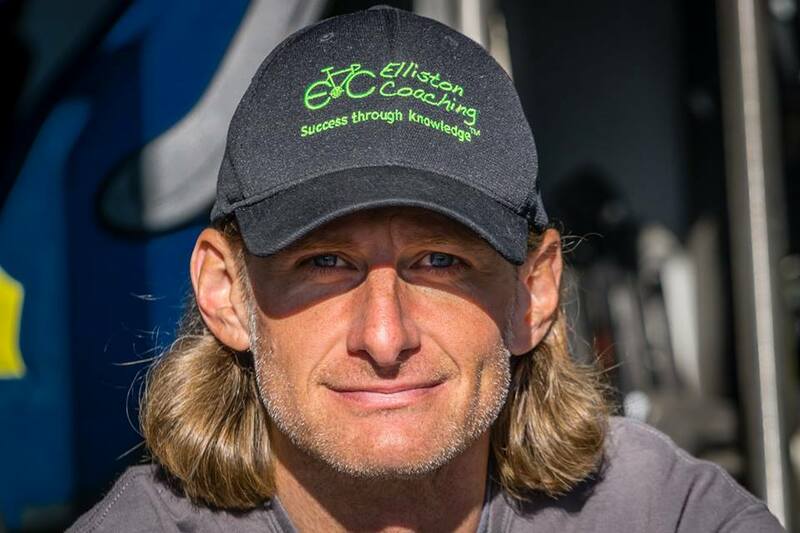 Bill is one of a select number of coaches in the United States to have received Level II certification by USA Triathlon (USAT), the national governing body of the sport. He is also a USAT-certified Youth & Junior coach and served as the Head Triathlon Coach for the Southern New Jersey Chapter of the Leukemia and Lymphoma Society Team in Training Program. Bill was selected to the 2001, 2002 and 2003 Triathlon All-American Teams by USAT and represented the United States at the 2002 Long Course World Championships in Nice, France. He has competed in the Ironman World Championships in Hawaii three times and has run nearly 20 marathons around the world. His Ironman PR is 9 hours 38 minutes and his marathon PR is 2 hours 42 minutes. Bill has served on the USA Triathlon Board of Directors for the Mid-Atlantic Region since 2002. Learn the essence of endurance performance from a former pro cycling team physician and performance lab director. ​Michael Ross, MD is a sports medicine physicianwho has been treating endurance athletes for over a decade. He is been a team physician for numerous professional cycling teams. He also runs the Rothman Institute Performance Lab, a medical and scientific exercise testing and training facility in Bryn Mawr, Pennsylvania. He has written two books on training and sports medicine for endurance athletes as well as multiple scientific papers. He has been invited to speak at USA cycling and has been a consultant for several bicycle companies to provide the optimum fit. He is an avid triathlete himself who has qualified for short course triathlon nationals several times. When he is not at work or spending time with his family he can be found on the trails and the roads around Philadelphia. Talk Description/abstract: All athletes sweat, and the volume and composition of their sweat varies greatly among them. We will dive into the sweat data of endurance athletes, and the role that hydration sports science plays into optimizing performance and reducing heat-related illnesses like EAMC and EAH. Livingston is a team-sports athlete and a business & marketing executive, with a distinguished career managing world-class product lines in automotive, consumer electronics, sporting goods, and wearable tech. Livingston has two engineering degrees from Cornell, and an MBA from the University of Michigan. After an illustrious engineering career launching iconic vehicles like the Ford Mustang and leading Ford’s rebranding efforts in vehicle dynamics and powertrain attributes, Livingston transitioned to product management and marketing, managing product lines for Bose Corporation (Wave Music Systems), Franklin Sports (baseball training), and MC10, Inc. (Sports & Fitness wearables). His most recent product, the Reebok Checklight, won numerous awards, including the 2014 Consumer Electronics Show (CES) Award for Innovation in Sports & Fitness and the 2014 Red Dot Design Award. Livingston joined HEAT Sport Sciences in 2015, after previous collaborations with Dr. Godek and the Philadelphia Eagles and Flyers. Vicki spent her entire childhood engrossed in all things aquatic, from the biggest whales to the tiniest of sea slugs, she wanted to know everything about the world underwater. 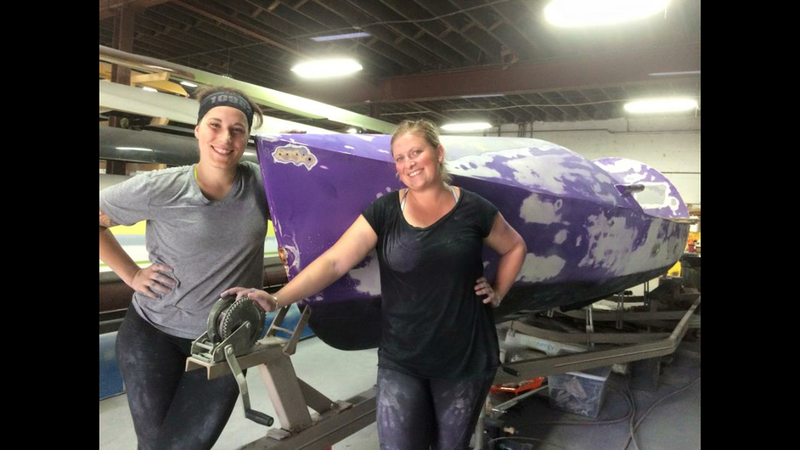 With a lifelong plan to pursue a degree in Marine Biology, her career goals were put on hold when she was introduced to the sport of rowing her freshman year at Oklahoma State University. Her passion immediately transitioned from underwater life, to that of one lived on the surface. Upon graduation after a successful collegiate career, Vicki moved to Nashville and eventually Philadelphia to continue to train in the sport she loves. In 2009, after spending time at the National level, a back injury forced her into an early retirement from the competitive scene. 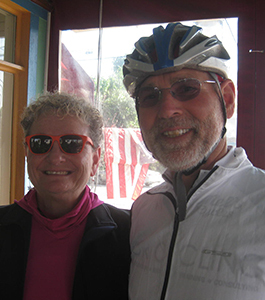 Yet still loving the push of endurance sports, Vicki moved into the world of distance triathlons, which eventually introduced her to her husband Chris, a fellow triathlete. After marrying in 2011, they moved to the US Virgin Islands, where the couple earned their Dive Master certifications and continued their passion for a life in and around the sea through a career in Scuba. The couple has since returned stateside and currently live near Philadelphia, where Vicki coaches rowing and continues to follow her passion to the water. By completing this race, Vicki hopes to achieve and even deeper connection to both the ocean and her sport, but to also use the voyage as a platform to help educate the people around her on the damages our ocean and ultimately, our species, are facing.